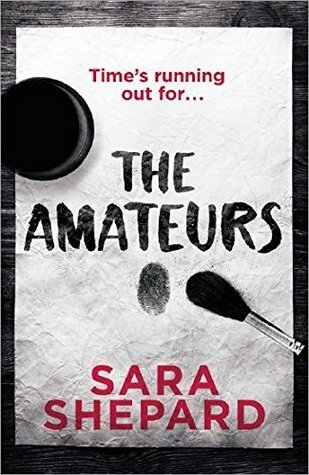 Sara Shepard is well known as a champion of YA mysteries/thrillers so when I saw The Amateurs at my local library I had to pick it up. 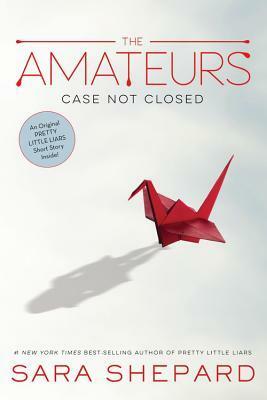 I’ve read several of the books in her Pretty Little Liars series but I never read them in order. I just read whichever ones I could find and pieced the mystery together that way which was definitely an interesting experience. Aerin Kelly was 11 when her sister disappeared, only to turn up dead four years later. No one has been able to make sense of the murder, but Aerin is desperate for answers and turns to her last option: an online message board called “Case Not Closed” where interested individuals attempt to solve cold cases. Seneca has a personal interest in the Kelly case so when she sees Aerin’s message she jumps on the chance to investigate. She goes down to the town, planning to meet up with some of her friends from the message boards and do a bit of investigating. Things don’t go exactly as planned and even though the group seem to be getting closer to figuring out the mystery Seneca’s not even sure if she wants to be there anymore. I’m kind of on the fence about this one… The plot kept me guessing and I didn’t see things coming which is good in a mystery. However it seemed like a lot of the reveals came quite out of the blue, especially the ones towards the end which seem more questionable than clever. I think my biggest problem was that the characters were all so bland. Madison and Brett are basically filler characters who do nothing. Maddox is a mess and Aerin didn’t really do much either. Seneca was alright but that didn’t make up for the lack of other character development. This book doesn’t have as many covers as a lot of other books I’ve looked at, but they’re all really different. This is the main cover I’ve seen. 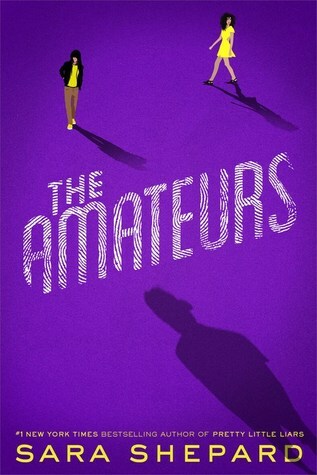 I like the colour scheme of the purple and yellow but I don’t feel like this cover is anything special. This book could be about anything. This is the version we had in my library in Australia. I don’t mind it, and I find the bright yellow fingerprint to be a nice touch but it still looks like basically any mystery. 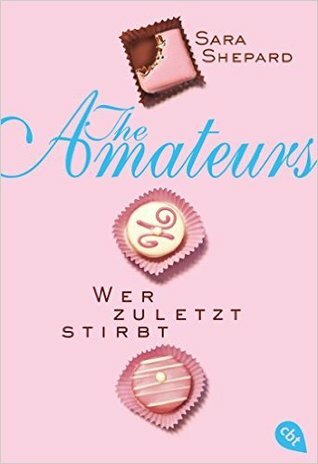 This is the German version, the only cover I could find for an international copy. I like the font because it reminds me of Sarah Shepard’s other books but the cover doesn’t fit the book in the slightest. I actually love this one but it’s the one with the least information. I love the crane (which is actually relevant to the plot) and the font is pretty cool too. This is the kindle copy, and again it isn’t bad but it’s a pretty typical mystery cover and I just want something different. There were so many twists and I was constantly changing my thoughts about who the killer was. 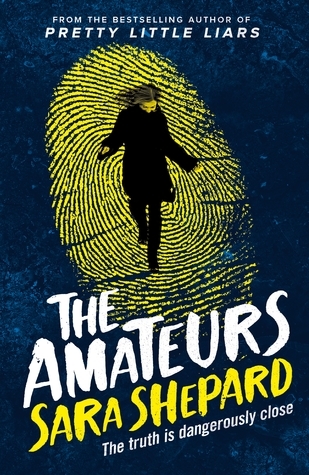 The book was quite fast paced and it didn’t feel like it took forever to get into the mystery. In general the writing was good. It wasn’t the most flattering representation of teenagers but I feel like it was a realistic one. Let’s start simple: the character names were a mess. What sort of a name is Aerin? Seneca? Maddox?? I can’t say I have ever heard of these names before and they were just weird. Some of the writing just made me shake my head, there was far too much italics for my liking and quotes like “…wow,” and “ugh,” just…. no thanks. I got the characters confused so many times. They had similar names, similar voices and the chapters didn’t do a great job of telling me who’s head I was inside. I get that they were teenagers, but they acted a lot younger than their age and did some stupid things. Maddy and Seneca’s internet friendship…??? How did that happen???? But also the way they reacted to finding out…?? None of the characters would just say what they were thinking, they always kept secrets from each other and damn it annoyed me. A lot of the things were just random?????? So many coincidences and connections they just happened to make. I feel like I didn’t know any of the characters. Next postI’m Participating in Nanowrimo; Are You? Yeah, this book took the “unique names” trend to another level. And I agree, the cover has such a large role in shaping how you view the book especially if you haven’t actually read it!